Timber Harvesting’s October issue recognizes Quality Forest Products, Inc. of Georgia as the 2001 Logging Business of the Year. Owner Deck Trevitt is the guiding force behind this standout enterprise. Also, the Ohio company Lyons Sawmill & Logging Equipment converts to CTL for year round capability. The Timbco Hydro-Buncher is also featured for having pioneered its way to popularity. In the fall of 2000, Lyons Sawmill & Logging Equipment of Circleville, Oh. delivered a Timbco cut-to-length (CTL) system to logger Ralph Seymour and son Tracy. They were the fourth in the state to convert a conventional operation to the method. 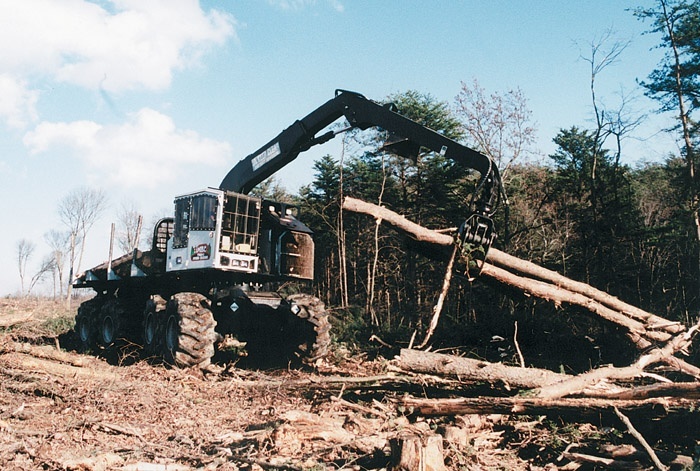 Seymour Logging Co. continued to operate one of its two conventional sides through the winter of 2000, making it possible to compare uptime and production totals of the systems. Now that the initial shock of the loss of Joe Wood has subdued, I am compelled to send you this letter as a small tribute to a man who had a profound affect on my life, as well as the life of countless others. 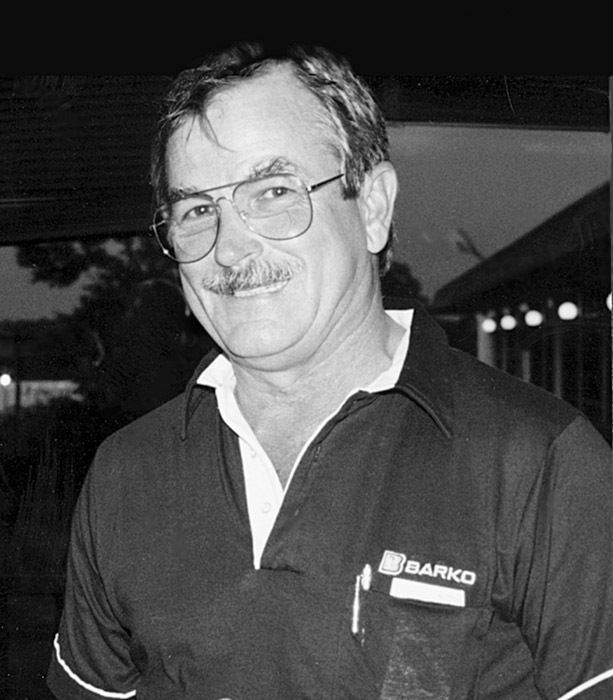 I was blessed with being on the same team at Barko as Joe and therefore had the privilege of knowing this man as a mentor, teammate, and a role model for the past 19 years. Timbco is well known in the North American forest industry as the first purpose-built tracked feller-buncher. 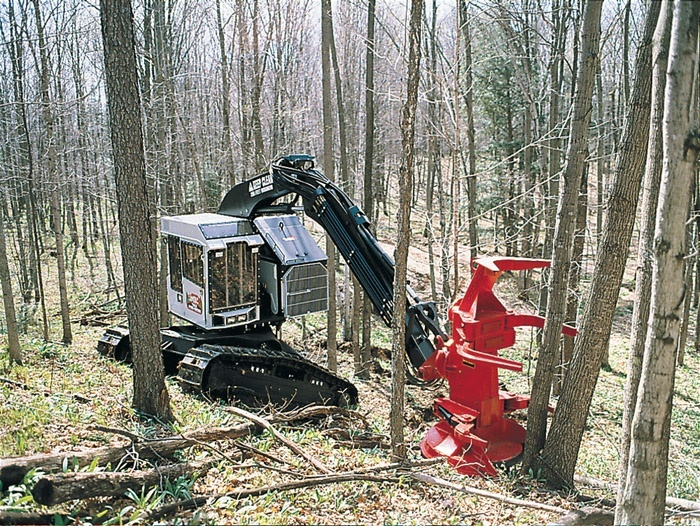 The machine was also the first to offer loggers the advantages of Timbco’s patented boom geometry, cab leveling and a hydraulic system with high capacity and flexibility. Timbco’s patented boom geometry is a big reason why the machine concept works so well. 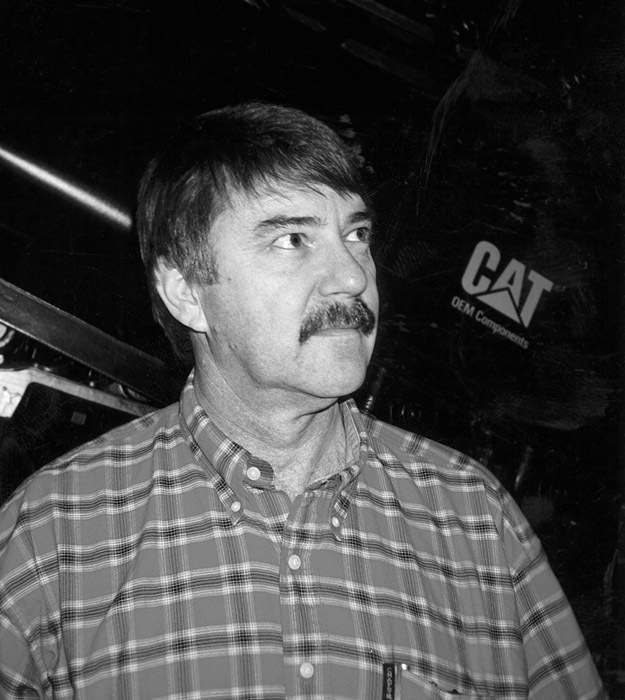 Pat Crawford, designer and co-founder of Timbco Hydraulics, Inc., invented the boom geometry while logging with a converted excavator feller-buncher. Potlatch Corp.’s 17,000 acre hybrid poplar plantation at Boardman, Ore. has been independently certified by the Forest Stewardship Council (FSC). 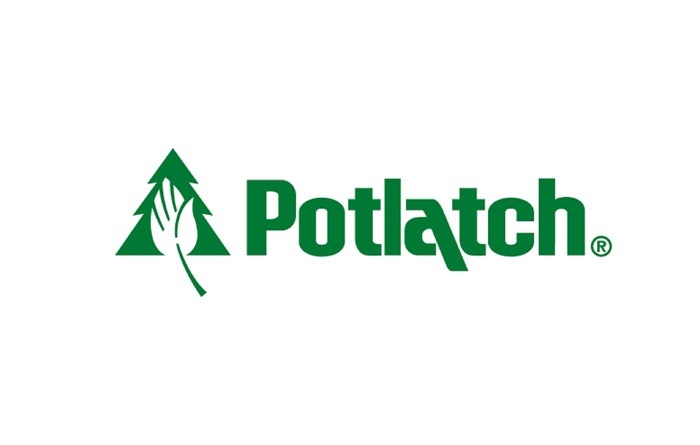 Potlatch says its pursuit of FSC certification at Boardman reflects the fact that segments of the U.S. lumber market have demonstrated a willingness to pay a premium for FSC certified products. After three decades, Alvin Schilling is waving goodbye to International Paper. As the result of IP’s last round of cutbacks, he accepted a retirement package. October 31will be his last day on the job. 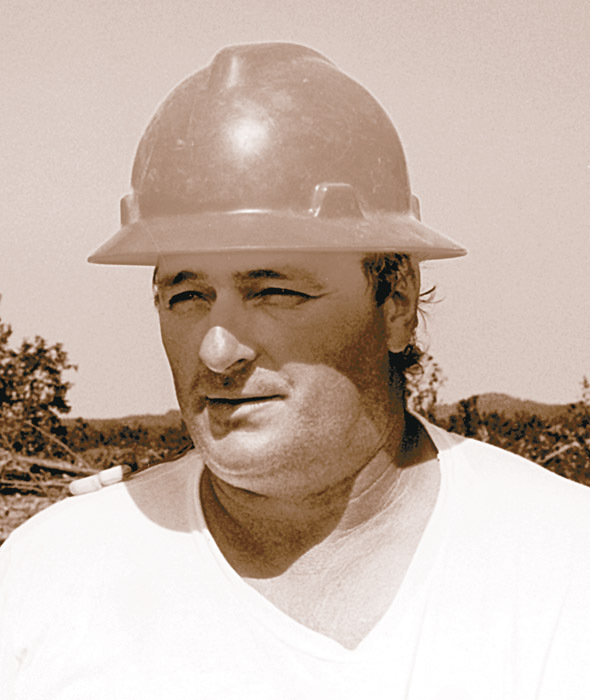 For the last 16 years, Schilling has been a key member of IP’s Applied Technology & Research Group, interfacing with both loggers and equipment manufacturers as he evaluated harvesting techniques and equipment in specific applications. 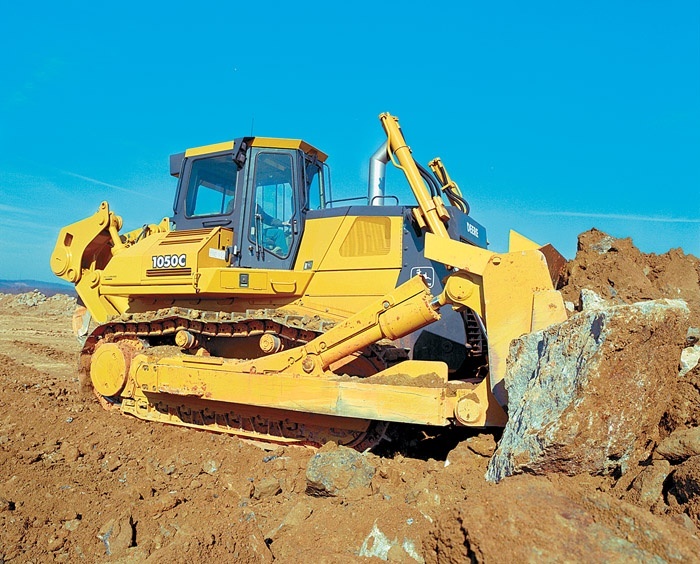 John Deere Construction & Forestry Co. introduces its most powerful dozer ever—the 324 HP 1050C. The 1050C is powered by a single-lever-controlled hydrostatic transmission that delivers powerturns, counter-rotation and automatic load sensing. With the 1050’s hydrostatic drive system, there’s no need to shift gears. How much has the availability and cost of business insurance changed and how are you handling this situation? Bruce Hopson Bruce Hopson Logging Inc. Eagletown, Okla. Insurance rates go up all the time it seems. For instance, my workers’ comp increased two cents per ton this year, which will equal about $2,800 by the end of the year. There’s really nothing I can do to offset that either because I’ve got to have insurance.